In 2013, the IPC managed 3,051 calls regarding someone who got a double dose of medication. A child was given his heart medication by his mother right when he woke up. The father, not knowing the mother had already done so, gave the child his heart medication after breakfast for a second time. A senior woke up early and took her 6 morning medications. Two hours later, she took a nap. Upon waking and still a little groggy, she took all 6 pills again because it is her habit to take her pills right when she gets out of bed. A sick child with the flu and a fever is given medication for it—unfortunately by both parents. The mom had been giving Tylenol (acetaminophen) for the fever every 6 hours, and dad had been giving a pediatric cold and flu syrup (containing several ingredients, one of which is acetaminophen) every 6 hours. Both medications together add up to a toxic level of acetaminophen. If a child is on medication, designate ONE parent or caregiver to be the medicine-keeper. Only this parent should be giving medication. Use a calendar, or even a scrap of paper rubber banded to the medication bottle to keep track of every dose given—write down the date and time. Tie medicine time to a specific activity, like brushing your teeth. This helps you remember to take your medicine AND avoid inadvertently taking it twice. Use a pillbox. 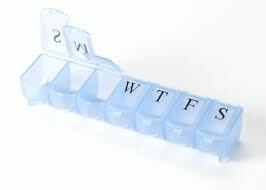 Pillboxes are a great way to keep track of your medication, especially if you are on multiple meds. Fill it up once a week and you are all set. It’s Tuesday. Is the Tuesday slot empty? Then you took your Tuesday meds. If the Tuesday slot is full, then you haven’t taken them yet. Doesn’t get any easier than that. HOWEVER please keep in mind that pillboxes are NOT child resistant. 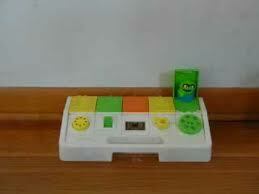 Not only that, you know what a pill box is to a child? A super fun pop-up toy rattle. If you use a pillbox and there is any possibility that a child will be in the vicinity, make sure the pillbox is put away in a locked place. Not just in a purse or on top of the refrigerator. In 2013, we had almost 29,000 exposures involving kids, and many of them began in a pillbox. If you ever encounter ANY medication error, including a double dose, please call the IPC right away at 1-800-222-1222. Our experts can tell you what to expect and what you should do. Don’t forget to check out the newly expanded “My Child Ate” resource library or order a complimentary IPC packet.